On Saturday, 2/24/18, join Kiddie Academy of Powell for a Dance Party! The fun kicks off at 10am, and the event is FREE and open to everyone. Bring along a friend! To help better plan, please RSVP here. Since 1981, Kiddie Academy® has provided a better way to care for and educate children and create stronger communities. It's something Kiddie Academy® is passionate about and why they've been an education-based childcare leader for more than 30 years. Parents wouldn't trust just anyone to care for their children. And neither does Kiddie Academy®. This is why they take extra special care in ensuring that only the most qualified and caring people are taking care of your child. Equally important, Kiddie Academy® strives to create an environment of growth and learning for its people as well. Call to schedule a tour! 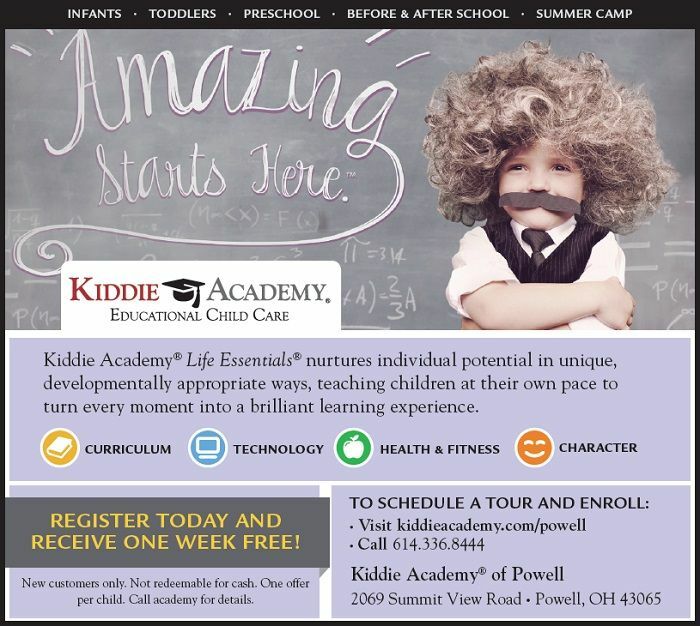 Visit Kiddie Academy® Powell, OH Academy, meet staff, see the classrooms and play on the playgrounds. 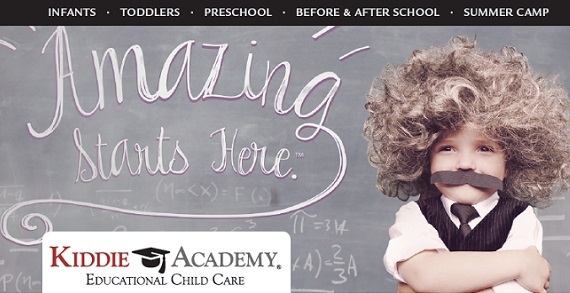 Kiddie Academy® is located in Powell and is convenient to the communities of Worthington and Dublin. Kiddie Academy® provides educational daycare in the greater Powell, OH area that focuses on days filled with learning and fun, the key ingredients of our Life Essentials® educational philosophy. The smiles you’ll see on your children’s faces as they learn, share family style meals with other children, and grow socially will delight you. The words from the children’s parents about our program, safety and facility will impress you!